My grandfather was hugely influential in initiating, encouraging and developing my formative interest in motor vehicles. As a pioneer motorist in the early years of the last century, he captivated my imagination with his true tales of the long-distance travelling adventures he experienced on the unmade tracks of the time, together with the constant challenge of keeping the very basic vehicles of that era running. He passed on to me his ‘hands-on’ approach to looking after cars, and this has stayed with me, proving time and again to be oh-so-useful. My father too helped me constantly in my quest for information about vehicles, and patiently guided me in all aspects of vehicle maintenance and repair. As an aeronautical engineer he always paid great attention to mechanical detail, and encouraged me to do the same. He also taught me to drive, on private ground, at the age of 13. From the moment he passed me the keys to his Austin A55 Cambridge, I was hooked on driving and couldn’t wait to get my licence and my own first car. I have been very fortunate to be able to make a career of writing about vehicles, including new cars and old, technical, historical and all other aspects of motoring. For years I have contributed to newspapers, magazines, and motoring websites galore, and have written many car-related books. However, for a very long time I have been wanting to set up this, my own, motoring magazine website (indeed the domain name was registered many years ago! ), and finally I have decided to launch it. The website is deliberately informal in approach, and I hope our readers will find good, accurate information, inspiration, entertainment and fun within its pages, which will grow in range and number as we progress. Within the site we shall be covering new car appraisals, technical aspects of new and old vehicles, historical features, money-saving tips and much about having fun with old/classic cars – including driving them as well as mending them! 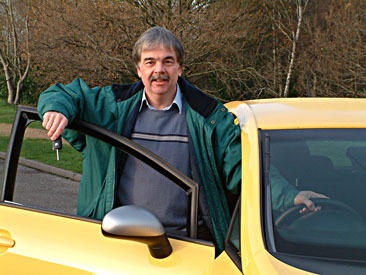 Contributors to the site will include talented, highly-respected people (so they tell me) on the hallowed membership list of the Guild of Motoring Writers, and from the similarly well thought-of Western Group of Motoring Writers. In addition there will be contributions from knowledgeable and capable young writers who have something useful to say about all aspects of driving and running vehicles in the 21st Century. The main inspiration/encouragement for my passion for vehicles was my late grandfather, Len Hamlin. 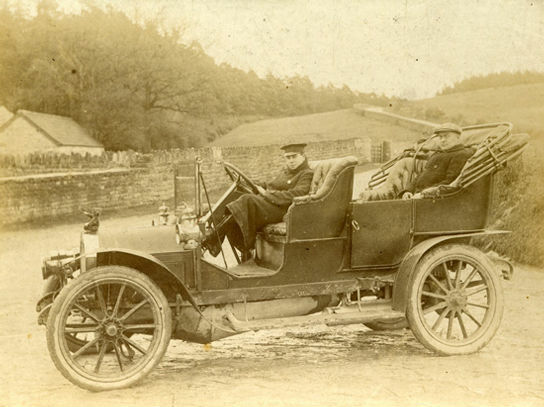 This photograph, which I have just rediscovered, and which was probably taken in Somerset, shows him c. 1909/10 at the wheel of a contemporary Métallurgique – hailing from Belgium and from one of the most widely respected makers of sporting cars of that era. Grandad used to look after and drive this car for its owner. I’d like to dedicate this site to my grandfather Len Hamlin and my late father Ron Henson, in both cases for helping me so much towards fulfilling my dream of making a career of writing about cars. I did it, thanks to their encouragement and belief in me. I’d also like to say a huge ‘thank you’ to my partner in this project, Kevin Slater, who I have found to be one of the most capable graphic/web designers of his generation, and so pleasant to work with. I originally worked with Kevin many years ago, as we both started on ‘Practical Motorist’ magazine at about the same time. Since then we have collaborated on many interesting journalistic and motoring book projects. Thanks Kevin. I owe you a pint (well, maybe a half).